Throw out that PC based system and get in the CLOUD! | Silversphere, Inc.
← Enough Already. The PC has to go! Throw out that PC based system and get in the CLOUD! Once upon a time, senior living communities paid someone to be at the front desk 24 hours a day. They did this because the emergency call system consisted of a panel of lights and buzzers mounted on the wall. If a resident needed help, a light would turn on and a buzzer would sound. Someone had to be within earshot of this panel at all times, or calls for help would go unanswered. Once they heard it, though, alerting the care givers that someone needed help was another inefficient and labor intensive task. When Tel-Tron introduced pocket paging to the wireless emergency system call industry (100 years ago…) both problems were solved. Care givers wore pagers and were alerted right away when a resident needed help. This eliminated the need for panels of lights and buzzers, and the need to pay someone to watch them 24 hours a day. This was a transformation of the way senior living providers operated their buildings and provided care to their residents. Really, it would be hard to imagine not having pagers or some other mobile staff device today. In the pocket paging example above, people were slaves to the front desk, because that is where the alarm panel was located. 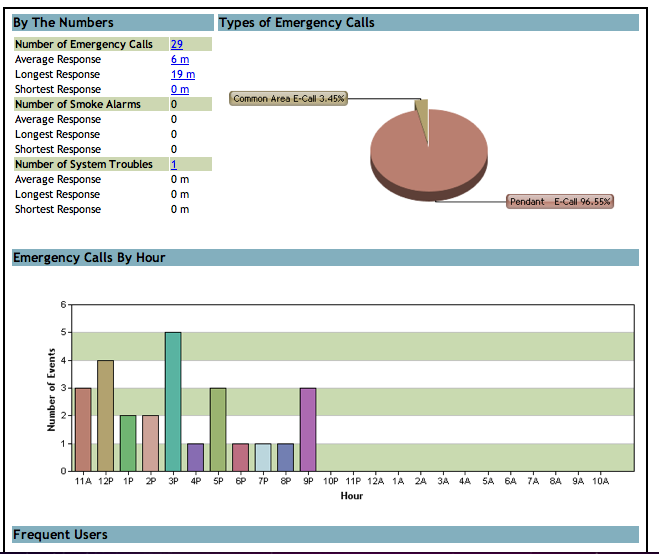 The “data” they needed to respond to resident emergencies was accessible from only one place – the front desk. The same is true on PC based system today. 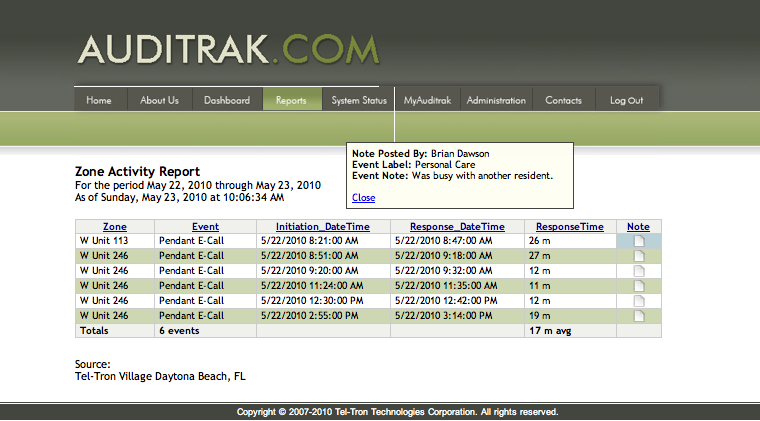 System programming information, resident usage metrics, audit trail reports, maintenance notifications, resident check-in data, even changing resident pendant codes is all located, stored and managed from the personal computer located on-site. You have limited or no access to that data or functionality from outside the building. You have limited or no way to keep all of that data backed up on a real time basis. You have limited or no way to integrate that system with other systems located outside of the facility, such as your accounting, or resident management software. Worst of all…..Once you buy a computer based system, you are saddled with never ending upgrades, maintenance contracts, having to replace the computer itself every couple years, your staff uses the computer to play games or surf the web (see previous blog about that particular nightmare), Microsoft changes operating systems routinely, loss of functionality during a power outage… Really, the list of downside risks to a PC based system are endless. What’s the answer? Enter the cloud! Instead of your entire emergency call system being controlled and run by a software program on a local PC, host all of that functionality in the cloud (on the internet). Your on-site system includes all of the devices in the resident rooms, all of the mobile devices used by the staff, one or more alarm consoles, the wireless or hardwired monitoring infrastructure. But the activity data, programming information, reporting software, charting and graphing software, trend analysis, and system monitoring is “hosted” offsite. You access this site through an internet browser like Internet Explorer, Firefox, Google Chrome and Apple’s Safari. Which means you do NOT buy a dedicated PC for the emergency call system. You use any PC (or iphone, blackberry, ipad, etc) you want, from anywhere you want, whenever you want. There is no software to upgrade on site, ever. The hosted software is always current. You don’t have to keep back-up disks, or tapes on site. Your data is always on line and backed-up continuously. You don’t have to worry about your staff breaking the computer, surfing the web, or otherwise messing up the PC. Because THERE ISN”T ONE. I know this is a mental leap. But it is literally transformational to the industry. Senior living CTO’s, IT managers, even maintenance people are loving the fact that their systems no longer are PC based or dependent. In addition, once your secure data is in the cloud, you don’t need to run reports any longer. Establish operating parameters and reports will be automatically sent to you (or anyone else) whenever something occurs outside those parameters. Two small examples: Many Executive Directors get a report emailed to them every morning listing any emergency call where the resident’s wait time was longer than 10 minutes. Regional Operations Directors have this same report sent to them monthly for all communities in their territory. Regional Maintenance Directors get a weekly report automatically emailed to them of all system trouble items that have occurred, and not resolved in the appropriate time. I know, that was three examples, but the possibilities are endless. Last one..any notification can be sent via email, or text message. Some Operations Vice Presidents want to know right away if there is an elopement activity such as a window alarm, or “screen removed” alarm in an memory impaired section. Elopement is a big deal these days and an early heads-up is helpful. I know this is a lot to take in and understand, but having your emergency call systems data hosted and managed in the internet cloud, means a whole lot less headache for on-site staff related to computers, and an almost limitless opportunity for growth and integration in the future. 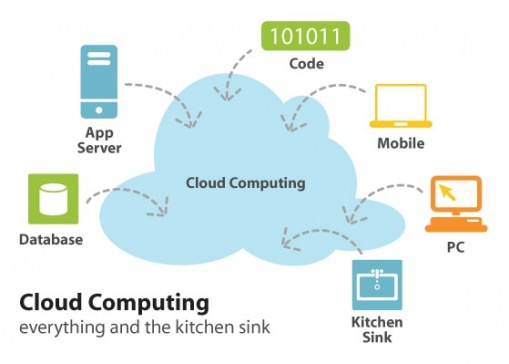 Just as pagers changed the industry in the late 80s, cloud computing will change senior living over the next few years. Just browse on over to Auditrak.com and you’ll see what I mean. I didn’t talk specifically about this, but having a single hosted location for systems data and management is exponentially more valuable if a senior living operator has multiple sites.